Grey Headed Flying Fox is an Australian megabat belonging to the genus Pteropus. Being one of the biggest bat species, these mammals inhabit varied locations in its native place, migrating hundreds of miles for food. They are the largest flying mammals on earth and because they mainly subsist on fruits and seeds, they are also known as ‘fruit bats’. They are conspicuous with their reddish furry collars over a grey body. They have distinct way of communicating via a range of calls. 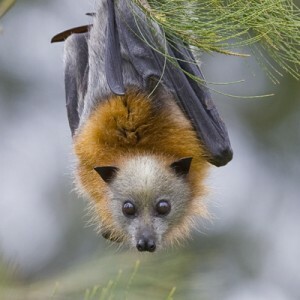 Scientifically these creatures are known as Pteropus poliocephalus. Color: In totality it is grey from head, barring the neck which is composed of reddish-brown fur. Size: Length of their entire body including the head is approximately between 230 mm and 280 mm. Weight: On an average they weigh around 677 g but that may even exceed to 1000 g.
Wingspan: It is about 1 m in the adults. Other Features: They have their legs enveloped in fur extending till the toe. Grey Headed Flying Foxes are Australian natives and they are distributed in its east coast. 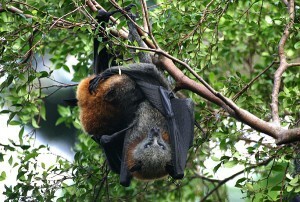 They are the only widespread flying fox in Australia where their population extends from central Queensland to Victoria. As they travel widely for food, no distinct geographical location can define their exact territories. Yet a steady occupancy can be noticed in Melbourne, Sydney, Brisbane and Newcastle. They form camps in a wide ranging habitat comprising swamps, woodlands and patches of rainforests. Location is however not limited to mangroves, melaleuca stands and other plant habitats but extends further to urban vegetation as well. Food sources influence their mobility in these regions. Camps, in which they live with other flying foxes, are formed near water bodies, high up in the trees. Coastal lowlands, during autumn are also frequented by these creatures. A glimpse into its behavioral pattern might help you know it better. Female foxes dominate the males while mating, beginning and ending it according to their whims. Mating behavior has been observed to be very exigent as they mate for hours at a stretch, for several days. Mating is a diurnal activity, taking place at different mating sites. They live in huge colonies known as roost, during the day. In the absence of food, they shift their camps to areas where food is available in plenty. When they disperse seeds and pollen during foraging movements, they help in restoration of the forests. Males usually show aggression to occupy the hub of the rooster. Males living on the edges of the roosters display monogamous traits unlike the ones in the center that are polygamous. 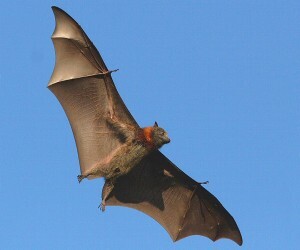 They share their camps with black as well as little red flying foxes. Interestingly, their diet is composed of fruits, nectar and pollen from more than 185 species of flowers that they derive by traveling for miles every night. Other food sources include native shrubs and trees like Eucalyptus in the rainforests. They derive nourishment from pollen and nectar from these trees. The risk of predation haunts these mammals at various points of their lives, irrespective of their age. Ravens, carpet pythons, goannas, sea eagles and owls often prey on them. Threats of these enemies are higher for the members leaving the roost early for feeding. Their bodily features help them hang from the branches with ease. They have tough teeth that help them feed on fruits with hard shells. Their adaptive quality has helped them survive unpredictable weather conditions in Australia. 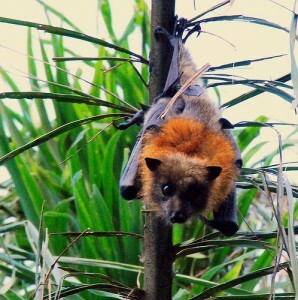 Great eyesight of the Grey Headed Flying Fox helps in locating food at night. When the females are 3 years old, they attain sexual maturity. After a gestation period of approximately 27 weeks, young ones are born. Late September up to November, are the months when the females give birth. At birth the young ones derive nourishment from their mothers who nurse them till they are big enough to move around. Younglings are carried over at nights by the females during their foraging stints and they keep them back at the nests when done. Young ones are looked after by the females till they get over with their altiricial phase for about 3 weeks. Only after a period of 4 to 5 months are they able to fly like adults and forage like them. They can be seen accompanying their mothers on their nightly foraging spree after they learn flying. But these expeditions end when they start growing up into bulky young bats. They are long living mammals, often living up to 15 years in the wilderness. In confinement they even live longer than 20 years. It communicates using above 30 different types of calls. Calls get loud when they are guarding their territories or during mating. They are partially migrating species, relocating to newer sites in the search of food. While migrating, these mammals do not adhere to a specific path but fly according to the prevailing wind. They leave behind their summer roosts in winters and travel for more than 700 km. 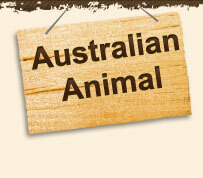 As this species has been protected and listed as vulnerable, petting them may incur fine and imprisonment. These facts make them interesting. In order to encompass large territories they utilize the prevailing wind which helps them travel far. They hang in large numbers from the branches during the day, covering themselves with their wings. 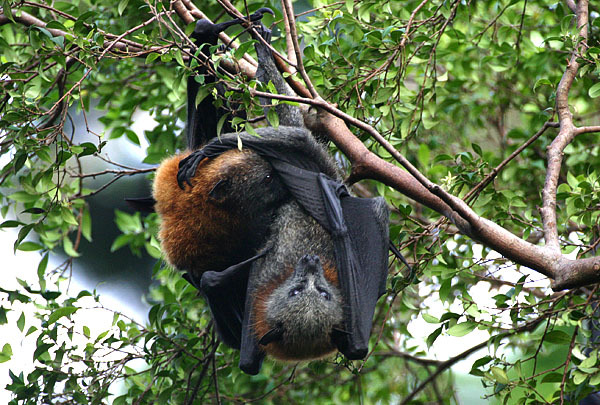 Hundreds and thousands of flying foxes team up to build camps or roosts where they socialize. Roosting camps are classified into summer and winter camps, used variedly during these two seasons. With the advent of the mating season, neck glands enlarge in males that signify territorial boundaries of mating. It is their heavy weight which compels them to hang upside down because their frail legs cannot support this weight. They have made a permanent colony in Melbourne’s Royal Botanic Gardens, with several thousand of them living there. A recovery plan is very much required in their current status, which makes them vulnerable. 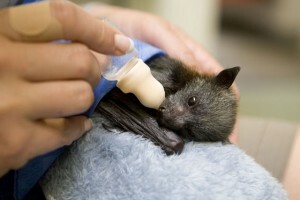 For many reasons these megabats are in danger. Some of which are related to the degrading environment and some related to weather changes. It was noted that their population faced serious declines but efforts have been taken to conserve them. Legal protection has saved many a lives in Queensland. Still they have managed to survive and breed mainly due to their adaptive features. Take a look at these creatures of the night in these pictures.